OWNER FINANCING AVAILABLE – Home is sold only with the purchase of the Marathon Motel. List Price of Motel is $678,000. The Home is a 1 Story, 3 Bedroom, 2 Bath, 2200 sqft home on . lot 80 acre adjacent to Marathon Motel. Survey available. xD; xA;The Gateway to BIG BEND National Park!! 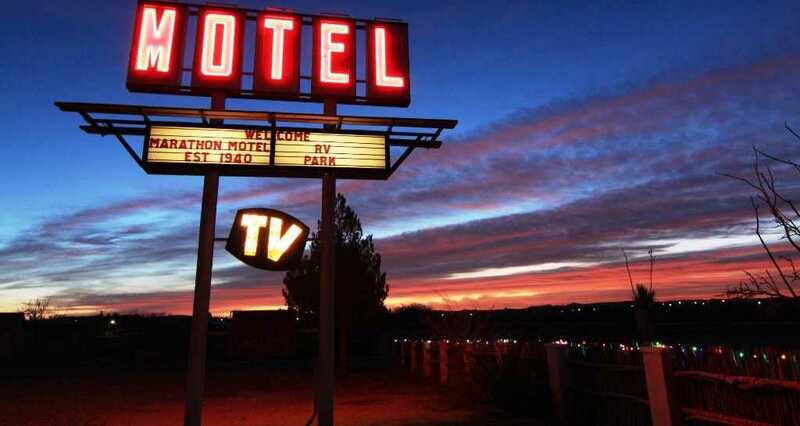 !SKY PARK under a CLASS 1 DARK SKY xD; xA;PROPERTY ALSO WORKS WELL FOR A PRIVATE FAMILY COMPOUND *** xD; xA;SCENES IN THE MOVIE PARIS TEXAS WERE SHOT AT THE MARATHON MOTEL. Please, send me more information on this property: MLS# 1871695 – $199,000 – 701 Marathon Motel, Other, TX 79842. I would like to schedule a private showing for this property: MLS# 1871695 – $199,000 – 701 Marathon Motel, Other, TX 79842.